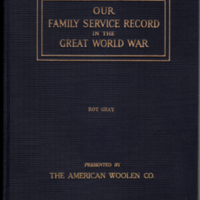 Jubilee Year "Garden Party Journal" - August 7,8,9, 1919. St. Bridget Roman Catholic Church. 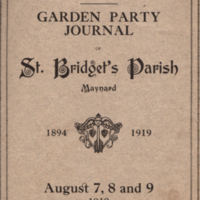 A Journal celebrating the Jubilee Year of the St. Bridget's Parish, Maynard, MA - August 7,8,9, 1919.